简介: Tradition and innovation in representative fiction of the early modern period. Recurring themes: the role of the artist in the modern period, the representation of psychological and sexual experience, the virtues (and defects) of the aggressively experimental character of so many modern books. Works by such writers as Conrad, Kipling, Isaac Babel, Kafka, James, Lawrence, Mann, Ford Madox Ford, Joyce, Woolf, Faulkner, and Nabokov. 简介: Introduce students to the creative design process, based on the scientific method and peer review, by application of fundamental principles and learning to complete projects according to schedule and within budget. Subject relies on active learning through a major team-based design-and-build project focused on the need for a new consumer product identified by each team. Topics to be learned while teams create, design, build, and test their product ideas include formulating strategies, concepts and modules, and estimation, concept selection, machine elements, design for manufacturing, visual thinking, communication, teamwork, and professional responsibilities. 简介: This course is designed to provide an understanding of how the human brain works in health and disease, and is intended for both the Brain and Cognitive Sciences major and the non-Brain and Cognitive Sciences major. Knowledge of how the human brain works is important for all citizens, and the lessons to be learned have enormous implications for public policy makers and educators. 简介: This course will provide a gentle introduction to programming using Python™ for highly motivated students with little or no prior experience in programming computers. The course will focus on planning and organizing programs, as well as the grammar of the Python programming language. Lectures will be interactive featuring in-class exercises with lots of support from the course staff. 简介: This course will provide a gentle, yet intense, introduction to programming using Python for highly motivated students with little or no prior experience in programming. The course will focus on planning and organizing programs, as well as the grammar of the Python programming language. 简介: This course features videos of the student final presentations, each of which is intended as a lecture for an undergraduate survey course. 简介: Hands-on introduction to NMR presenting background in classical theory and instrumentation. Each lecture is followed by lab experiments to demonstrate ideas presented during the lecture and to familiarize students with state-of-the-art NMR instrumentation. Experiments cover topics ranging from spin dynamics to spectroscopy, and include imaging. 简介: In this class, we will examine cholesterol's role in the cell and in the body as a whole, from its function as a structural component of the membrane to its function in signaling. We will discuss mechanisms of cholesterol sensing, mechanisms of feedback regulation in cells, cholesterol in the brain, cholesterol in the circulation, 'good cholesterol' and 'bad cholesterol,' cholesterol-related human disorders, and the drugs that deal with some of these disorders. 简介: This course is an introduction to modern Indian culture and society through films, documentaries, short stories, novels, poems, and journalistic writing. The principal focus is on the study of major cultural developments and social debates in the last sixty five years of history through the reading of literature and viewing of film clips. The focus will be on the transformations of gender and class issues, representation of nationhood, the idea of regional identities and the place of the city in individual and communal lives. The cultural and historical background will be provided in class lectures. The idea is to explore the "other Indias" that lurk behind our constructed notion of a homogeneous national culture. 简介: This class uses lab exercises and a workshop setting to help students develop a solid understanding of the planning and public management uses of geographic information systems (GIS). The goals are to help students: acquire technical skills in the use of GIS software; acquire qualitative methods skills in data and document gathering, analyzing information, and presenting results; and investigate the potential and practicality of GIS technologies in a typical planning setting and evaluate possible applications. 简介: Introduction to the linguistic study of language pathology, concentrating on experimental approaches and theoretical explanations. Discussion of Specific Language Impairment, autism, Down syndrome, Williams syndrome, normal aging, Parkinson's disease, Alzheimer's disease, hemispherectomy and aphasia. Focuses on the comparison of linguistic abilities among these syndromes, while drawing clear comparisons with first and second language acquisition. Topics include the lexicon, morphology, syntax, semantics and pragmatics. Relates the lost linguistic abilities in these syndromes to properties of the brain. 简介: This course will begin with brief overview of what important current research topics are in oceanography (physical, geological, and biological) and how acoustics can be used as a tool to address them. Three typical examples are climate, bottom geology, and marine mammal behavior. Will then address the acoustic inverse problem, reviewing inverse methods (linear and nonlinear) and the combination of acoustical methods with other measurements as an integrated system. Last part of course will concentrate on specific case studies, taken from current research journals. This course is taught on campus at MIT and with simultaneous video at Woods Hole Oceanographic Institution. 简介: This is a graduate course on the design and analysis of algorithms, covering several advanced topics not studied in typical introductory courses on algorithms. It is especially designed for doctoral students interested in theoretical computer science. 简介: This course is a first-year graduate course in algorithms. Emphasis is placed on fundamental algorithms and advanced methods of algorithmic design, analysis, and implementation. Techniques to be covered include amortization, randomization, fingerprinting, word-level parallelism, bit scaling, dynamic programming, network flow, linear programming, fixed-parameter algorithms, and approximation algorithms. Domains include string algorithms, network optimization, parallel algorithms, computational geometry, online algorithms, external memory, cache, and streaming algorithms, and data structures. 简介: Data structures play a central role in modern computer science. You interact with data structures much more often than with algorithms (think of Google, your mail server, and even your network routers). In addition, data structures are essential building blocks in obtaining efficient algorithms. This course will cover major results and current directions of research in data structures. 简介: Data structures play a central role in modern computer science. You interact with data structures even more often than with algorithms (think Google, your mail server, and even your network routers). In addition, data structures are essential building blocks in obtaining efficient algorithms. This course covers major results and current directions of research in data structure. 简介: In 6.635, topics covered include: special relativity, electrodynamics of moving media, waves in dispersive media, microstrip integrated circuits, quantum optics, remote sensing, radiative transfer theory, scattering by rough surfaces, effective permittivities, random media, Green's functions for planarly layered media, integral equations in electromagnetics, method of moments, time domain method of moments, EM waves in periodic structures: photonic crystals and negative refraction. 简介: This course is a workshop for students with some experience in writing essays, nonfiction prose. Our focus will be negotiating and representing identities grounded in gender, race, class, nationality, sexuality, and other categories of identity, either our own or others', in prose that is expository, exploratory, investigative, persuasive, lyrical, or incantatory. We will read nonfiction prose works by a wide array of writers who have used language to negotiate and represent aspects of identity and the ways the different determinants of identity intersect, compete, and cooperate. 简介: 1.364 examines site characterization and geotechnical aspects of the design and construction of foundation systems. Topics include: site investigation (with emphasis on in situ testing), shallow (footings and raftings) and deep (piles and caissons) foundations, excavation support systems, groundwater control, slope stability, soil improvement (compaction, soil reinforcement, etc. ), and construction monitoring. This course is a core requirement for the Geotechnical Master of Engineering program at MIT. 简介: This course builds on managerial communication skills developed in (15.279) Management Communication for Undergraduates or (15.280) Communication for Managers. It introduces interactive oral and interpersonal communication skills important to managers, including presenting to a hostile audience, running meetings, listening, and contributing to group decision-making. Working in teams, students present a communication topic of their choosing to the class. An individual project challenges students to address a business audience in written and oral forms. 简介: This course is a graduate introduction to natural language processing - the study of human language from a computational perspective. It covers syntactic, semantic and discourse processing models, emphasizing machine learning or corpus-based methods and algorithms. It also covers applications of these methods and models in syntactic parsing, information extraction, statistical machine translation, dialogue systems, and summarization. The subject qualifies as an Artificial Intelligence and Applications concentration subject. 简介: This course focuses on phonological phenomena that are sensitive to morphological structure, including base-reduplicant identity, cyclicity, level ordering, derived environment effects, opaque rule interactions, and morpheme structure constraints. In the recent OT literature, it has been claimed that all of these phenomena can be analyzed with a single theoretical device: correspondence constraints, which regulate the similarity of lexically related forms (such as input and output, base and derivative, base and reduplicant). 简介: This course explores the urban environment as a natural phenomenon, human habitat, medium of expression, and forum for action. The course has several major themes: how ideas of nature influence the way cities are perceived, designed, built, and managed; how natural processes and urban form interact and the consequences for human health and welfare; how planners and designers can shape the urban natural environment. Each student researches and presents a case, either historical or an example of contemporary theory and practice. 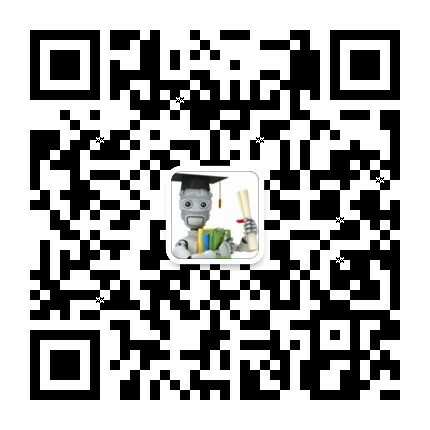 简介: Assignments contain examples of student work from the course. 简介: This class presents the application of principles of soil mechanics. It considers the following topics: the origin and nature of soils; soil classification; the effective stress principle; hydraulic conductivity and seepage; stress-strain-strength behavior of cohesionless and cohesive soils and application to lateral earth stresses; bearing capacity and slope stability; consolidation theory and settlement analysis; and laboratory and field methods for evaluation of soil properties in design practice. 简介: En este curso el estudiante perfeccionará su comunicación oral y escrita mediante el estudio y la discusión de temas relacionados al impacto social y cultural de la ciencia y la tecnología en ciertas sociedades hispanas. Algunos de los temas que se considerarán son los efectos de los cambios tecnológicos en la estructura familiar y comunitaria, en las relaciones entre los sexos, en la identidad personal y cultural, en el mundo natural y en los sistemas de valores, la religión, la educación y el trabajo. También se examinarán y compararán diversas actitudes hacia la innovación tecnológica y científica tal como se expresan en los medios de comunicación, los debates públicos, la literatura y el arte de las sociedades hispanas. Las ramificaciones éticas de las decisiones tecnológicas también se discutirán. 简介: This course is for advanced students who wish to build confidence and skills in spoken English. It focuses on the appropriate oral presentation of material in a variety of professional contexts: group discussions, classroom explanations and interactions, and theses/research proposals. It is valuable for those who intend to teach or lecture in English and includes language laboratory assignments. The goal of the workshop is to develop effective speaking and listening skills for academic and professional contexts.